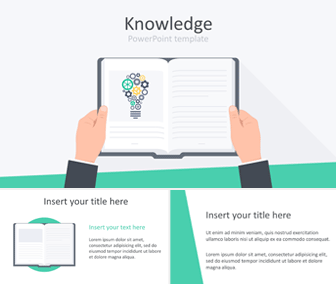 Impress your audience with this Knowledge PowerPoint template in flat design style. The title slide features a vector-based illustration of businessman hands holding an open book with a light bulb concept with gear wheels. You have plenty of space to add text around the illustration. 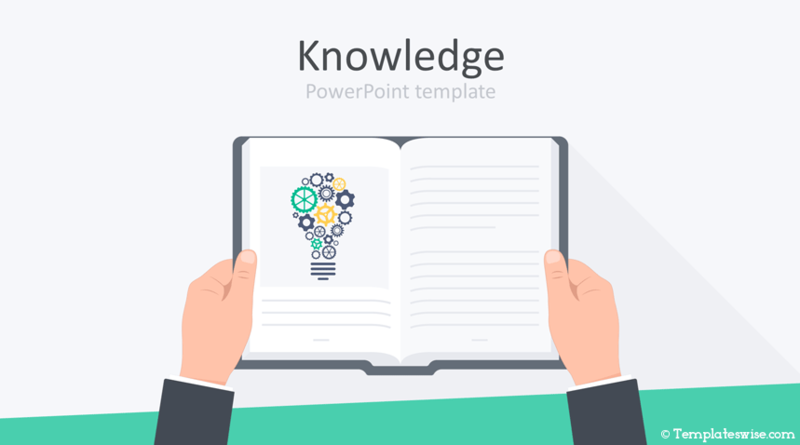 Use this template for presentations on education, learning, books, courses, etc. Your audience will appreciate the clean layout.